I have a seal grey 996 GT3. About to fit a roll cage (equipment). 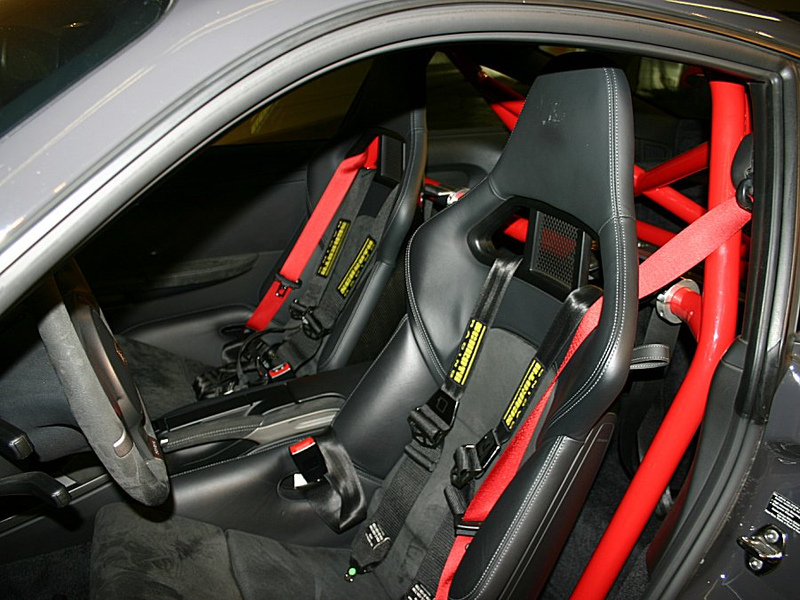 Has anyone got a picture of a car in grey with a red roll cage? Tried searching google etc cannot find anything. Just wondering if it will work colour wise. Car is Lux pack with Red seat belts. Brakes are also going to be repainted to brighten them up (bit tired looking) so should address the colour outside the car to match... I think. 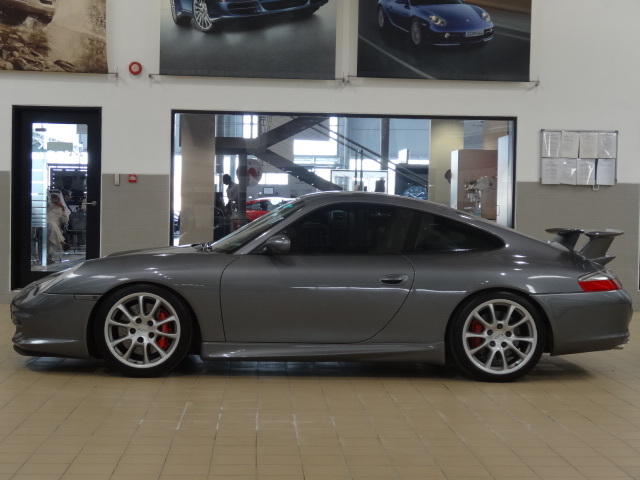 This is a 997 RS but should be representative of what you are looking for. Search Google Images and you can find anything. I say go for the red cage. I think it will look nice and compliment the other red accents. Plus you'll probably be one of the few with that combo. I have a Seal grey GT3 mk1 and had the same dilemma last summer. I have a full RS cage and thought that red would be "too much".. So I figured maybe body colour cage would be more subtle. Well.. after some more thought I chickened out and painted it semi gloss black.